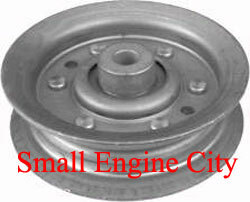 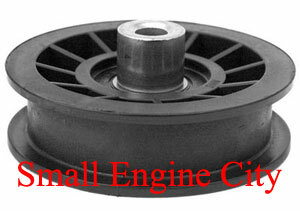 Flat Idler Pulley Replaces Sears 102403X - 3/8" ID - 4-5/8" OD - Height 7/8"
Idler Pulley Replaces Sears 139245. 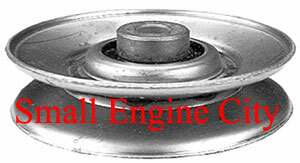 "V" Idler Pulley for 50" deck on 20 & 22 HP front engine tractors, OD 3-1/2" - Height 1-1/8" - Bore 3/8"
Idler Pulley Replaces AYP - Sears 146763 - Fits 46" decks - Size ID 3/8" - OD 4-1/4" - Height 11/16"
Idler Pulley Replaces Sears 166042 - Fits Models: AYP Self-propelled walk behinds, 2000-2006 - Specs: ID:3/8" - OD:2" - Height:5/8"
Idler Pulley Replaces Sears 166043. 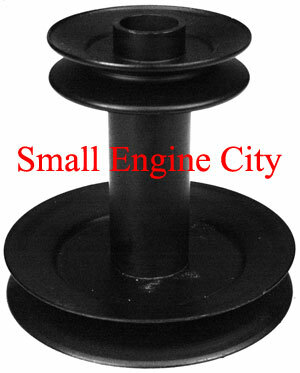 Fits Models: Sears - AYP CH65Y21, PP65R21, PR55R21, PR65M21, PR7R21, PR5HHVP and PPWT622 - Specs: ID:1/2" - OD:2 1/8" - Height:11/16"
Flat Idler Pulley Replaces Sears 173901. 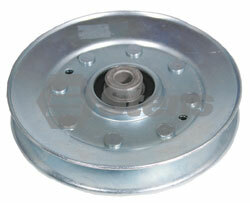 OD 4-5/16" - Flat OD 3-1/2" - Flat Width 1" - Overall Width 1-3/8" - ID 3/8" - Offset 3/8"
Flat Idler Pulley Replaces Sears 175820. 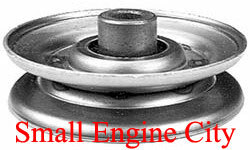 OD 4-1/2" - Flat OD 3-5/8" - Flat Width 5/8" - Overall Width 1" - ID 3/8" - Offset 1/4"
Idler Pulley Replaces Sears 179050, 199532 and 199534. 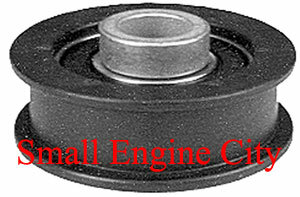 5/16" ID - 2-1/2" OD - Height 1/2"
Flat Idler Replaces AYP / Sears / Poulan 179114 and 532179114 - Fits Models: AYP 2001 and newer mowers - Specs: ID:3/8" - OD:3 1/2" - Height:2 1/8"
Idler Pulley Replaces Sears and Poulan 187284 and 532187284 - 3/8" ID - 5-1/2" OD - Height 1-9/16"
Deck Spindle Pulley Replaces Sears, Poulan and Husqvarna 532144917 and 144917 - Fits Spindles on 48" Decks - 5/8" Splined ID - 4" OD - Height 1-1/2"
Deck Pulley Replaces Sears, Poulan and Husqvarna 153531 173434 and 532173434. 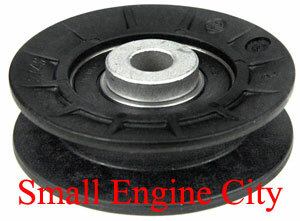 5/8" Splined ID - 4-5/8" OD - Height 7/8"
Deck Spindle Pulley Replaces Sears 153532, 173435 and 129206. 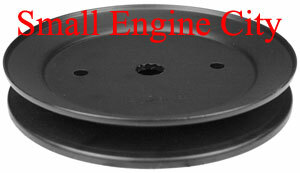 41/64" Splined ID - 4-13/16" OD - Height 31/32"
Deck Spindle Pulley Replaces Sears 153535, 15353, 129861, 173436, and 177865. 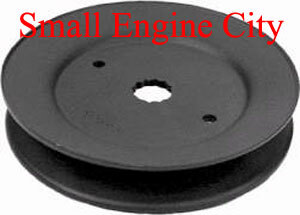 5/8" Splined ID - 5-3/16 OD - Height 7/8"
Deck Spindle Pulley Replaces Sears 195945 and 197473. 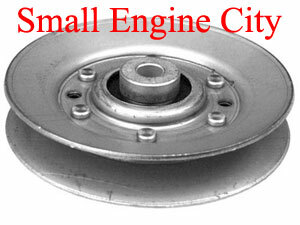 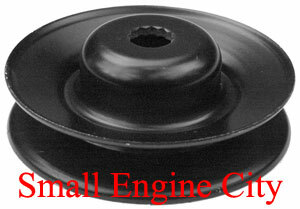 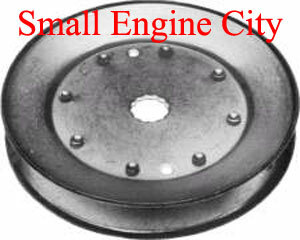 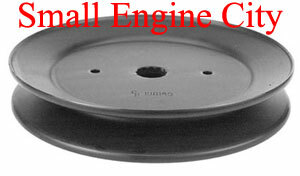 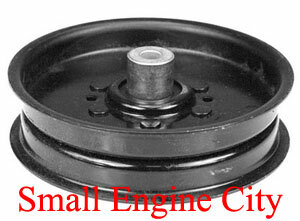 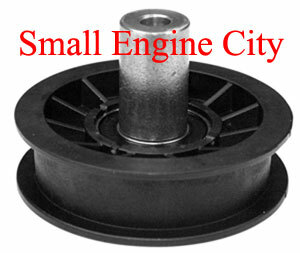 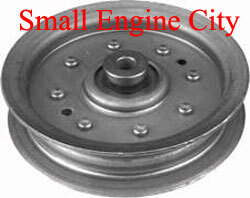 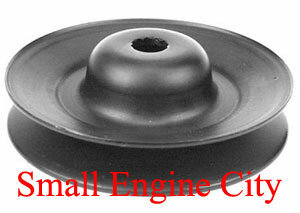 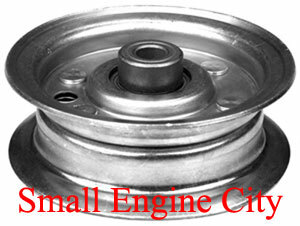 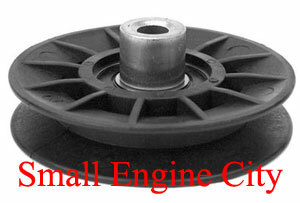 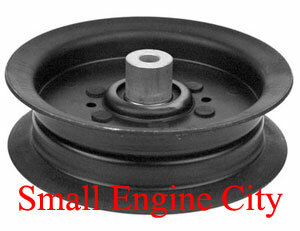 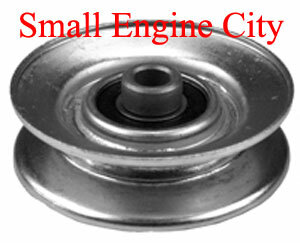 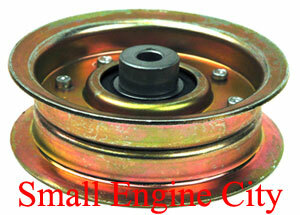 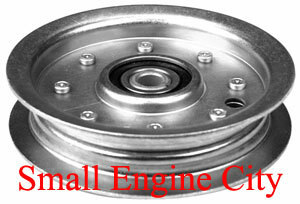 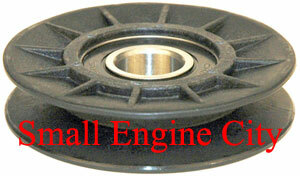 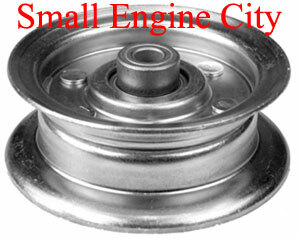 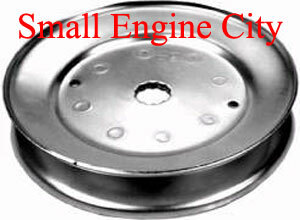 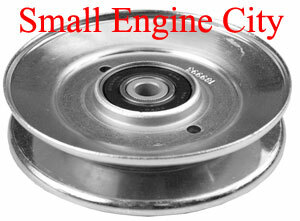 5/8" Splined ID - 6-1/4" OD - Height 7/8"
Engine Pulley Replaces Sears, Poulan and Husqvarna 140186 and 532140186. 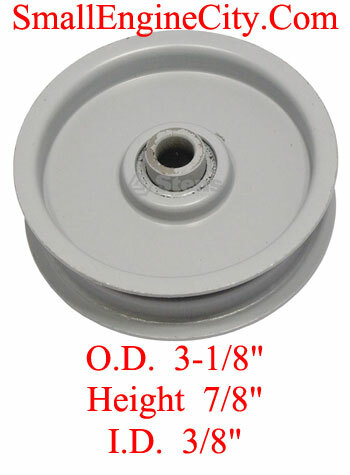 1" Step Down To 3/4" ID - Top OD 3-1/2" - Bottom OD 5-1/2" - Height 5-3/8"
Splined Pulley Replaces AYP - Sears 174375 - Fits 48" decks - Size Splined ID 5/8" - OD 4-7/8" - Height 1-3/8"
Splined Pulley Replaces Sears 198145, Poulan and Husqvarna 532198145 - Size Splined ID 5/8" - OD 5-1/2" - Height 59/64"